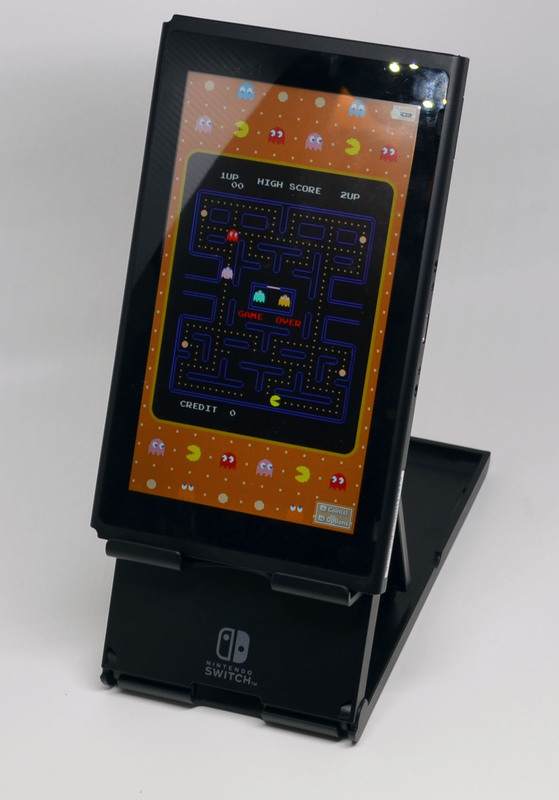 In looking for a good stand for my Nintendo Switch to play some of the vertically oriented arcade games from the excellent NAMCO MUSEUM, I came across the HORI Compact Playstand. Superficially, it seemed to tick all the necessary boxes: performance, price, and compactness. In practice, it definitely ticked all those boxes. 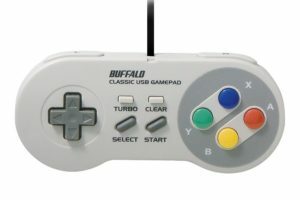 It’s quite compact when folded. 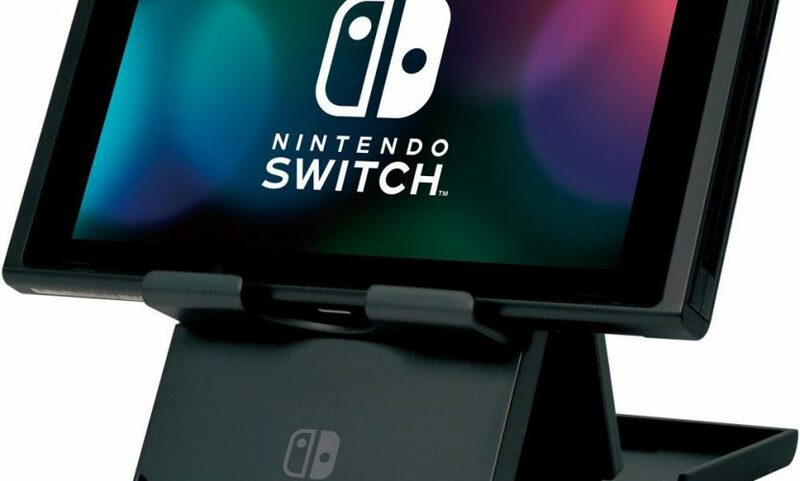 The foldable stand can prop up the Switch at 30, 50, and 60 degree angles. 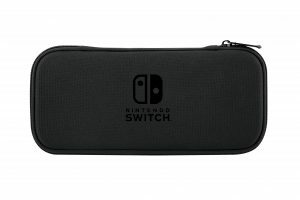 When the Switch is placed horizontally like you would in any other dock, you can still charge the console without issue since the bottom port is fully accessible. 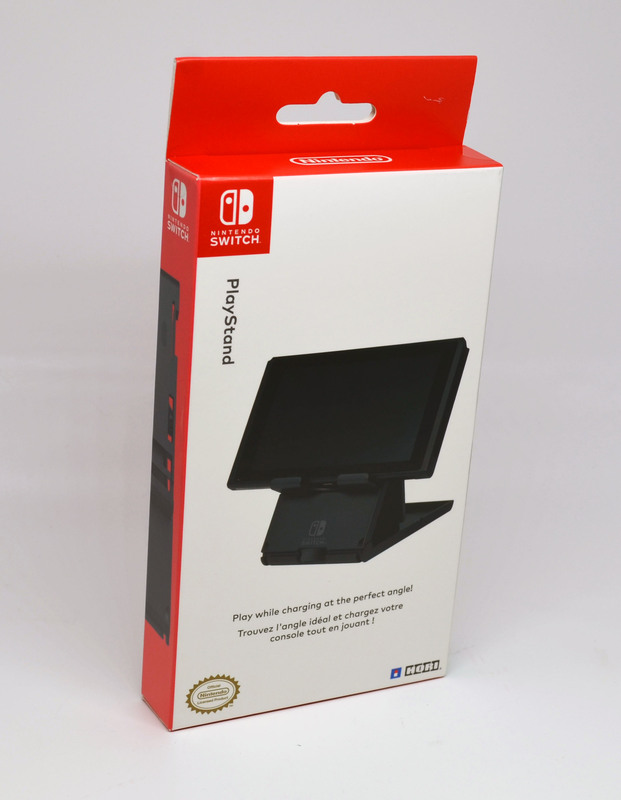 While you can of course just use the cable from the official dock to charge the Switch in this stand, the Cable Matters USB-C cable is inexpensive and has worked well for me so that I never have to disturb my primary dock setup. 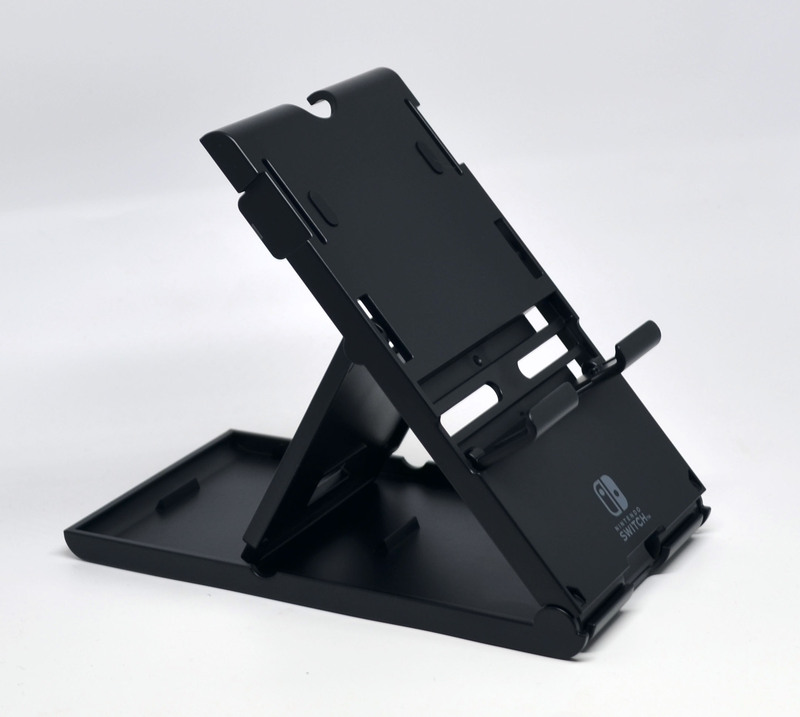 Unfolded and its kickstand placed in one of its three available positions. 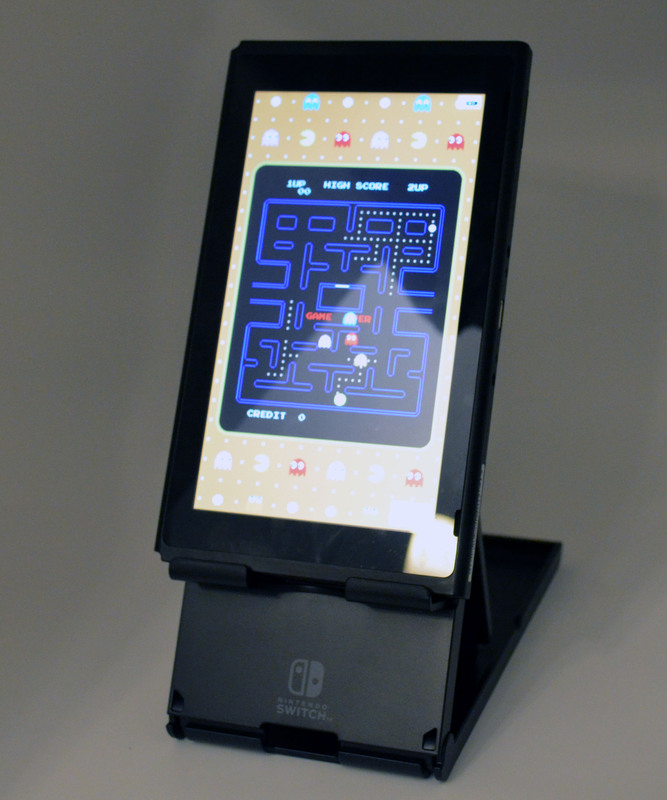 While I admit my primary use case is rather specific, I definitely anticipate using this stand for other Switch games. 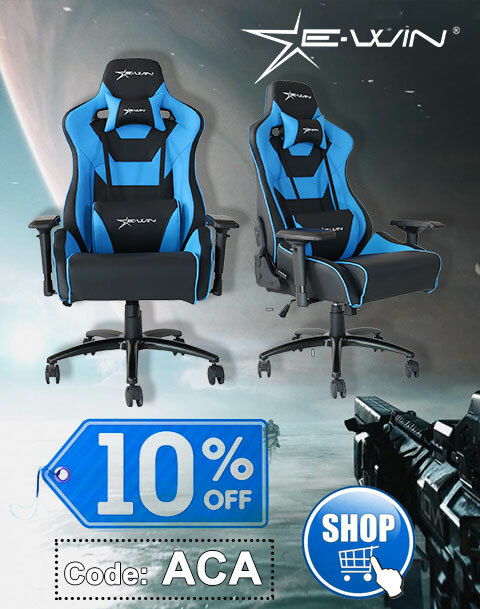 It’s easy to fold and store, and is inexpensive enough not to worry about. 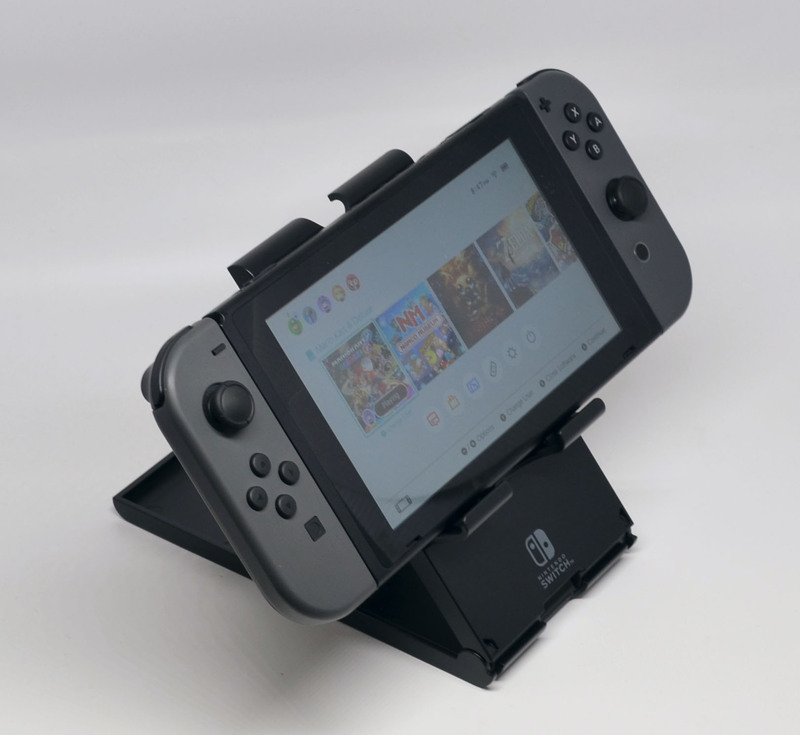 It’s definitely recommended if you need a portable stand that can also accommodate your Switch in vertical mode. 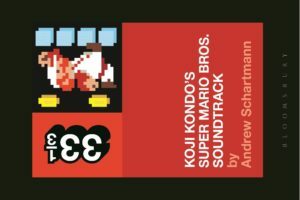 Vertical placement, the way these classic arcade games were meant to be played. 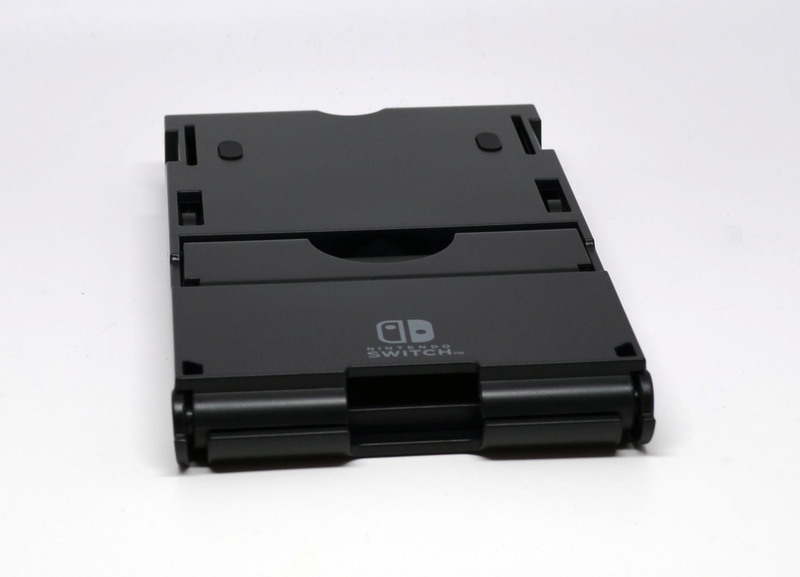 A simple, yet effective portable Nintendo Switch stand.